Easter falls on March 27 this year, and in the weeks leading up to the holiday, there are a number of egg hunts in Hendricks County for families to enjoy -- including some with a unique twist. Let&apos;s take a look at some Easter activities that are sure to make a lasting impression whether you are a local or visitor. Not all Easter eggs are hidden on the ground here in Hendricks County. In fact, at Crossroads Church in Avon, more than 10,000 eggs will be dropped from a helicopter on Saturday, March 26. Crossroads Church, located at 7209 E. County Road 100 South, recommends that families arrive by 10 a.m. with their kids ages 2-10. The eggs will be dropped at 10:30 a.m.
Children can also enjoy face painting, bounce houses and photos with the Easter Bunny! How often do kids get to slap on a bathing suit to hunt for Easter eggs? They can do just that at the Happy Easter Eggstravaganza at Splash Island Indoor Aquatic Center in Plainfield. On Saturday, March 26, Plainfield Parks and Recreation opens the door to the Richard A. Carlucci Recreation & Aquatic Center at 10 a.m. for kids to plan their hunting strategies and to get their pictures taken with the Easter Bunny. 11:30 a.m. for ages 11 and older. On Saturday, March 26, head out to McCloud Nature Park, just south of North Salem, from 11 a.m. to 3 p.m. for an Easter egg hunt like only their park naturalists can provide: fun, educational and nature-focused. Hidden along two different trails for different ages will be camouflaged eggs with clues hidden inside. Each egg will help you answer a nature question on your scavenger hunt sheet. Find all of the answers and turn in your worksheet to the nature center to claim your prize! There will also be themed crafts and snacks for kids to enjoy. Hosted by the Kiwanis Club of Danville and Danville Parks & Recreation, the annual Easter Egg Hunt at Ellis Park will take place on Saturday, March 26. Get to Ellis Park by 1:30 p.m. for pictures with the Easter Bunny, followed by an egg hunt with over 6,000 eggs. There will be a separate area for children with special needs to hunt for eggs. Then immediately following the egg hunt, take your rubber racing duck that you&apos;ve decorated at home in advance and race it down the creek! Prizes will be awarded for the best-decorated duck, as well as for the first duck to reach the second bridge in the creek. Not everyone can handle the sudden swarm of kids and ensuing noise in a typical Easter egg hunt, so there are some hunts here in Hendricks County for those with special needs. As I mentioned above, the Easter egg hunt at Ellis Park in Danville has a separate hunt for kids with special needs. 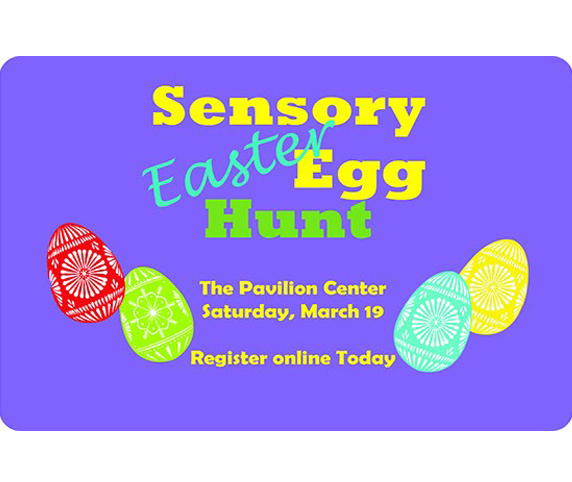 That&apos;s on Saturday, March 26 at 2 p.m.
Additionally, Washington Township Parks and Recreation in Avon is hosting its annual Sensory Easter Egg Hunt on Saturday, March 19, beginning at 9 a.m. for kids who need a little more quiet and controlled environment to hunt eggs. Kids, in groups of five at a time, will hunt for eggs at varying times, based on their age, and each child will receive 20 eggs. This event is free to attend, but registration is required, so be sure to click here for more information. The WELL.Community, located at 330 N. Green St. in Brownsburg, is hosting three separate egg hunts for kids with special needs on Saturday, March 19. Each hunt will have a raffle for parents and a prize table if kids would like to turn in their candy. At 3 p.m., there is a magnetic egg hunt where eggs have magnets in them. Kids are given poles with magnets on the end so that children in wheelchairs or gait trainers can pick up eggs. At 4 p.m. is the quiet egg hunt, which is perfect for kids with Autism or sensory-processing needs, as the egg hunt is quiet with little stimulation. At 5 p.m. is the general egg hunt for children who can hunt unassisted but who have developmental delays. There is no age limit. These aren&apos;t the only Easter egg hunts in Hendricks County over the next two weekends! For a list of even more hunts, click here.